This sweet tattoo is on a client of mine I have tattooed a handful of times over many years now. 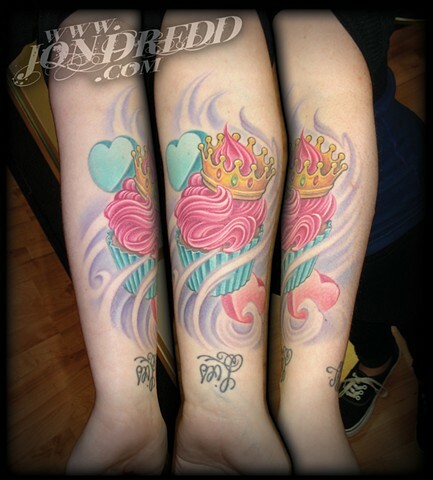 I love merging soft backgrounds with the foreground imagery to make the tattoo look like it belongs in the skin. Kate is now part of our crew at Crucial Tattoo, and so you can see this one in person if you're lucky enough to be at the shop on a day she is working.